A Special Offer for PFP Subscribers! Take advantage of this $69.99 special offer today! Choose from the following FiTOUR® Certification programs! All certifications include access to online study materials. Hard copy study manual can be purchased separately from the Study Materials order page. FiTOUR®’s Primary Personal Trainer Certification Program will get you well on your way to becoming a Personal Trainer. Become a personal fitness trainer today and be your own boss. FiTOUR®’s Primary Certification for Personal Trainer Program is designed to provide you with the skills & knowledge necessary to meet all personal trainer qualifications required to obtain a personal fitness trainer job. The FiTOUR® Primary Personal Trainer Certification Program will provide you with invaluable information and prepare you to successfully complete the Personal Trainer Examination required to obtain your certificate of Certification. Successful completion of the Primary Personal Certification Program and obtaining a passing score on the Personal Trainer Exam provides employers and clients with the mark of excellence. Expand your knowledge and skills through dedicated study and easily obtain personal trainer employment following successful completion of FiTOUR®’s Personal Trainer training program. Be ahead of the competition by starting your own personal training business following successful completion of the FiTOUR® Primary Personal Training Certification Program. The online study material for this FiTOUR® certification listed below is FREE! with registration. All FiTOUR® certification exams are based on the content of the study materials. FiTOUR® encourages participants to review the study materials in advance of the certification to ensure a higher examination success rate. FiTOUR® Primary Personal Trainer Online Study Manual - $19.99 -- FREE! FiTOUR® Primary Personal Trainer Online Study Videos - $24.99 -- FREE! Take your Personal Trainer qualifications to the next level with FiTOUR®’s Advanced Personal Trainer Certification Program. FiTOUR®’s Advanced Certification for Personal Trainer Program will provide you with the advanced level personal trainer training information to take improve your skills and personal training business. Get the necessary tools to begin your career as a Group Fitness Instructor with FiTOUR®’s group fitness instructor certification. You’ll learn how to share fitness and health with others in a fun and enjoyable group setting with FiTOUR®’s Primary Group Exercise Certification. The FiTOUR® Primary Group Exercise Certification is for all fitness professionals who teach exercise in a group setting – whether you are a Group Fitness Instructor or Personal Trainer. The FiTOUR® Primary Group Exercise Certification is also great for experienced Group Exercise Instructors who would like to brush up on fitness instructor technique and execution or who would like to renew their Group Fitness Instructor certification. Get the necessary tools to begin your career as a Group Fitness Instructor with FiTOUR®’s group fitness instructor certification. You’ll learn how to share fitness and health with others in a fun and enjoyable group setting with FiTOUR®’s Advanced Group Exercise Certification. The FiTOUR® Advanced Group Exercise Certification is for all fitness professionals who teach exercise in a group setting – whether you are a Group Fitness Instructor or Personal Trainer. The FiTOUR® Advanced Group Exercise Certification is also great for experienced Group Exercise Instructors who would like to brush up on fitness instructor technique and execution or who would like to renew their Group Fitness Instructor certification. Indoor Cycling has become one of the most popular forms of Group Exercise in the fitness industry. With successful completion of the FiTOUR® Indoor Cycling Certification Program, you will become a part of one of the most successful fitness programs throughout the world. The FiTOUR® Primary Indoor Cycling Certification course will give you all the tools you need to be a group cycling instructor extraordinaire. The curriculum covers indoor cycling equipment, biomechanics of proper pedaling, warm ups, cool downs and drills for indoor bicycle training. You will also learn injury prevention strategies and how to teach a safe and effective indoor group cycling class. The FiTOUR® Advanced Indoor Cycling Certification provides the indoor cycling instructor with advanced concepts in biomechanics, anatomy, physiology, and various class formats that were not covered in the FiTOUR® Primary Indoor Cycling Certification. 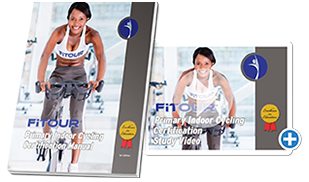 The FiTOUR® Advanced Indoor Cycling Certification covers many different types of drills and training techniques that can be utilized to provide students with a "pure" indoor cycling experience. 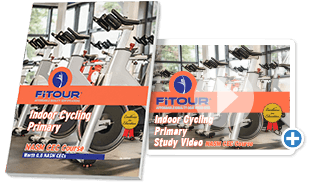 The FiTOUR® Advanced Indoor Cycling Certification expounds on the information and knowledge learned in the FiTOUR® Primary Indoor Cycling Certification. FiTOUR®'s Advanced Indoor Cycling Certification will take your skills as an indoor cycling instructor to a higher level. Learn the History of Yoga and various methods of popular forms of Hatha Yogain the FiTOUR® Primary Yoga Certification Course. The course covers Yoga Anatomy, The Eight Limbs of Yoga, The Yoga Diet and Breath Control. The FiTOUR® Primary Yoga Certification Program will give you detailed information on how to provide your students with a safe Hatha Yoga class in a yoga studio or fitness class environment. FiTOUR®’s comprehensive Mind & Body Fitness Trainer Courses provide you with professional tools to further your career as an accomplished Mind & Body Fitness Instructor. The FiTOUR® Advanced Yoga Certification Program will provide you with an in-depth look at how to teach Power Yoga in a yoga studio or health & fitness center. Upon successful completion of the FiTOUR® Advanced Yoga Certification program, you understand how to teach Pranayama/Breath Control, Yoga Flow through Asanas/Yoga Poses and Relaxation/Meditation Techniques. FiTOUR®’s Advanced Yoga Instructor Certification Program provides a thorough look at Ashtanga Vinyasa/Power Yoga. You will learn how to teach yoga classes which incorporate “Yoga Flow”. Learn how to lead and cue your students from one posture to the next to provide them with a powerful, yet peaceful, yoga class experience from the first moment they step on their yoga mat. The FiTOUR® Yoga Certification Programs are designed with Instructors who teach Yoga classes at a fitness center and yoga studio in mind. 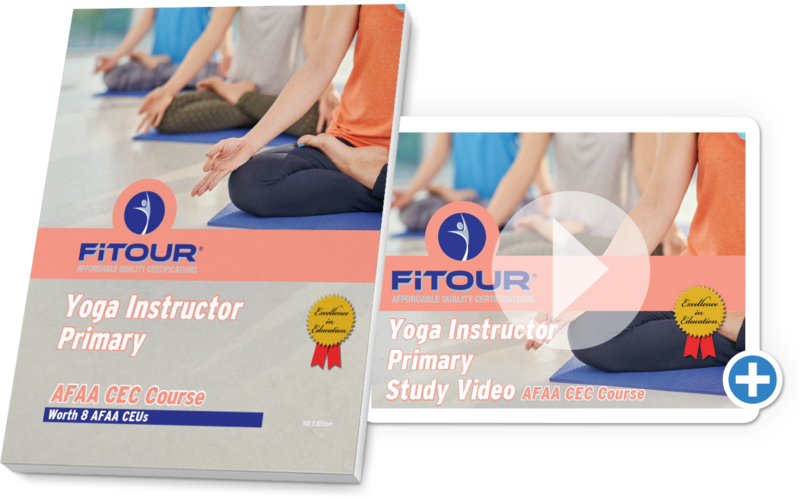 FiTOUR®’s Advanced Yoga Certification Program provides valuable information on how to design and implement a Power Yoga class. The FiTOUR® Primary Barre Certification prepares instructors to teach exercise classes based on the barre technique, a workout that combines elements of ballet, Pilates, yoga and light weight training. The Primary Barre Instructor Certification provides the knowledge instructors need to teach participants to use their own body weight for resistance training and to use the barre, small exercises balls, resistance bands and light hand weights as props to aid in reaching the goal of a lean, strong body. Created for each and every unique body type, the FiTOUR® Primary Barre Certification trains instructors to incorporate concise isometric movements to develop long and lean muscles for all participants. Instructors of all ages and sizes take their class on a journey to tighter glutes, leaner legs, and more toned arms (all with the help of great music!). No matter one’s fitness level, fitness barre offers a one-of-a-kind workout experience that will have students coming back for more! It is suggested that the barre instructor complete the FiTOUR® Primary Certification prior to beginning the FiTOUR® Advanced Barre Certification. The FiTOUR® Advanced Barre Certification introduces instructors to an advanced barre technique that combines elements of cardio, ballet, Pilates, yoga and light weight training in an efficient and effective workout format. The FiTOUR® Advanced Barre Certification will prepare instructors to teach a 60-minute exercise class that utilizes a ballet barre to perform small isometric and large isotonic movements set to popular music. The barre serves as a prop, along with the platform, small exercise balls, resistance bands, and light hand weights. The FiTOUR® Advanced Barre Certification is an excellent resource to prepare instructors to provide participants with a fun and effective exercise class, with the goal of helping one to obtain the streamlined body of an athletic dancer while reinforcing strength and muscle tone. Aqua Fitness is the wave of the future for Group Fitness Instructors and Personal Trainers. Become a Certified Aqua Fitness Instructor through successful completion of FiTOUR®’s comprehensive water fitness certification program. Make an impressive splash with your employers, students and clients by completing the FiTOUR® Aqua Fitness Instructor Certification Program. Whether you choose FiTOUR®’s In-Home Study Program or Certification Workshop Program, you will learn the skills and knowledge necessary to be a successful personal water fitness instructor. 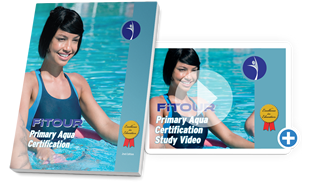 The FITOUR® Advanced Aqua Certification expounds on the information contained in the FiTOUR® Primary Aqua Certification. During your course study, you will learn how to create aquatic fitness programs for special populations such as cardiac rehabilitation, pulmonary disease, arthritis and osteoporosis. The course also contains invaluable content which will help you design aqua fitness classes with up-to-date information based on ACOG guidelines for pre-and-post-natal students. You will learn how to design and format deep water fitness classes. Also, a section of the study material is dedicated to mind/body activities in the aqua environment, such as yoga and Pilates. The course study material contains a wide variety of exercises and specific outlines for deep water classes, mind/body classes, pre-and-post-natal classes, and classes for the special populations listed above. FiTOUR®’s Advanced Aqua Certification will give you the knowledge and skills you need to move to the next level as an aqua fitness instructor. Joseph Pilates developed one of the most comprehensive health & fitness regimens seen in the modern era. Since Pilates-based programs hit the fitness scene in the late 90’s, millions of people have been practicing Pilates matwork in health clubs and fitness studios. FiTOUR®’s Primary Pilates Certification Program is a comprehensive Fitness Training Course designed to qualify Group Fitness Instructors, Yoga Instructors and Personal Trainers to teach safe & effective Pilates Mat classes. FiTOUR®’s comprehensive Fitness Trainer Courses provide you with professional tools to further your career in the fitness industry. FiTOUR®’s Primary Pilates Instructor Certification program provides comprehensive insight into the Pilates Principles. Group Fitness Trainers will learn how to practically apply the Pilates Principles to providing students with a safe Group Fitness Pilates Mat class. The FiTOUR® Pilates Certification Programs are an ideal professional tool for Personal Trainers. Personal Trainers will learn valuable information on how to apply the Pilates Principles to Core and Pilates exercises in a One-On-One Training Session. FiTOUR®’s Primary Pilates Program explains how to progress from the Body Awareness Exercises to the Intermediate Level Format. 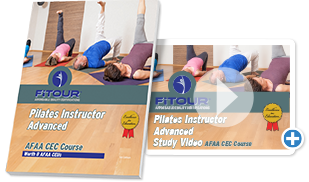 FiTOUR®’s Advanced Pilates Certification Program provides a detailed review of the Pilates Principles and Matwork covered in FiTOUR®’s Primary Pilates Certification Program. You will learn how to apply the Pilates Priniciples to Mat Exercises using Small apparatuses such as Pilates Rings, Rubberbands and Handweights. The Advanced Pilates Certification Course will benefit Pilates Instructors, Personal Trainers, Group Exercise Instructors and Yoga Instructors by providing knowledge and practical application of exercises using small apparatuses. FiTOUR®’s comprehensive Pilates Instructor and other Fitness Trainer Courses are developed to provide all the professional tools needed to excel in your career as a Fitness Trainer – whether you are a Pilates Instructor, Yoga Instructor, Group Exercise Instructor or Personal Trainer. Kick-up your Group Exercise Instructor teaching skills by successfully completing the FiTOUR® Kickbox Certification. Kickboxing is one of the most popular class formats found in health clubs around the world. The FiTOUR® Kickbox Certification Program will provide you with the knowledge and skills needed to provide your students with a safe and effective fitness-based kickbox program. The FiTOUR® Primary Myofascial Release Certification Course will provide the fitness professional an in-depth look into the concepts and techniques of self-massage and myofascial release. In addition, you will understand how to identify trigger points and the significance of trigger points in the myofascial bands. This comprehensive course provides information on how to use a variety of foam rollers in both individual and group training environments. You will learn techniques for performing self-massage and myofascial release with cylindrical and half-round rollers. In addition, you will learn how to use specialized rollers such as contoured and grid rollers. The FiTOUR® Advanced Myofascial Release Certification builds upon the information contained in the FiTOUR® Myofascial Release Primary Certification: Using a Foam Roller, Myofascial Release Foundations. The Advanced course provides a more in-depth look at various techniques of self-massage and self-myofascial release using PNF and balls. The Advanced course also provides a guide to trigger points and the associated pain patterns. NEW & IMPROVED! The FiTOUR® Core & Functional Fitness Certification Volume 2 Program is a two-part program in one certification! The knowledge and skills you obtain will give you the tools to effectively progress your clients and students with balance training and functional movement so that they can reach optimal levels of fitness. Learn how to incorporate functional movement, balance activities and muscle strengthening into safe and effective fitness programs. Become a certified fitness instructor with FiTOUR®’s Group Barbell Conditioning Certification Program designed for Group Fitness Instructors and Personal Trainers. This program will provide you with the tools needed to provide your students and clients with a comprehensive resistance training program focusing on total body muscle conditioning in a fun and exciting environment. The FiTOUR® Group Barbell Conditioning program equips Group Fitness Instructors and Personal Trainers with the necessary tools to create innovative, energetic and results oriented resistance training program in a group setting. This FiTOUR® fitness certification focuses on developing muscular endurance. Many individuals who attend group fitness classes often neglect resistance training due to various reasons, whether those reasons are time related, lack of knowledge on how to resistance train, or sheer intimidation. Group Personal Training is on the rise! The FiTOUR® Group Barbell Conditioning Certification Program will provide Personal Trainers with invaluable insight and information on how to develop resistance training programs into a group personal training sessions. 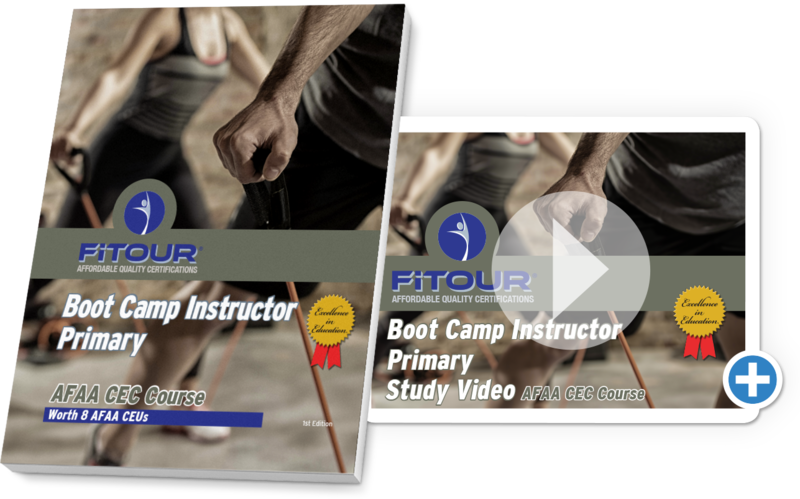 Become a Boot Camp Trainer with FiTOUR's Boot Camp Trainer Certification Program designed for Group Fitness Instructors and Personal Trainers. The FiTOUR® Boot Camp Trainer Certification Program will provide you with the tools needed to design, market, develop and conduct both indoor and outdoor Boot Camp Training Programs. In addition to learning how to design a comprehensive Boot Camp Training Program, the FiTOUR® Boot Camp Trainer Certification Program provides valuable information on setting up your own Boot Camp business. The FiTOUR® Boot Camp Trainer Certification Program provides valuable insight into setting up a successful Boot Camp business. In addition, you will learn how to assess clients; and how to assist clients in setting their goals; and valuable motivational skills in assisting your clients in reaching their goals. Boot Camp Programs are the hottest programs currently on the fitness scene! The FiTOUR® Boot Camp Trainer Certification Program will provide Group Fitness Instructors and Personal Trainers with invaluable insight and information on how to develop successful Boot Camps that will be sure to increase revenue and improve your client’s overall health & fitness! Learn how to incorporate Stability Ball training into a challenging full-body workout that will provide your clients and students with results. 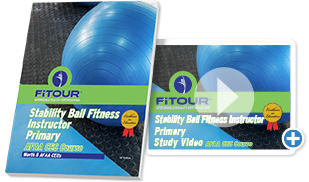 The FiTOUR® Stability Ball Certification Program provides valuable information on how to safely and effectively train your clients and students using a Stability Ball. Step up your Group Exercise Classes using the Step. Whether you will teach choreographed Step classes, athletic conditioning classes, active older adult classes or children’s classes, certified training as a Step Instructor is a great tool to enhance your students’ fitness levels. Step training provides a dynamic and power-based training program designed to improve aerobic capacity, muscular strength and muscular endurance. The Step can be used to provide students with fun & exciting choreographed Step Classes, Boot Camp or Sports Conditioning Sessions and Resistance or Body Sculpting Classes. Personal Trainers can use the Step as a versatile training tool to keep their training sessions fresh. The FiTOUR® Pilates Primary and Advanced Certification Courses provide detailed information on Pilates history, Pilates beginner, intermediate and advanced matwork and small apparatus that is important to provide safe and effective Pilates programming. The FiTOUR® Pilates Reformer Level One Certification Course will provide the Pilates instructor with the tools and knowledge needed to provide Pilates reformer programming on a beginner and intermediate level. The FiTOUR® Pilates Primary and Advanced Certification Courses contain important information with regard to movement using the Pilates principles. It is suggested that the Pilates reformer instructor complete the FiTOUR® Pilates Primary and Advanced Certification Courses before beginning this course. 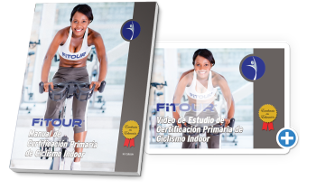 Obtenga las herramientas necesarias para comenzar su carrera como un Instructor de Fitness grupal con la certificación FiTOUR®. Aprenderá a compartir ejercicio y salud con otros en un grupo divertido y agradable con la certificación Primaria de Ejercicio en Grupo FiTOUR®. la Certificación Primaria de Ejercicio en Grupo FiTOUR® es para todos los profesionales del fitness que enseñan rutinas en un ambiente de grupo – aunque usted sea un instructor de fitness de grupo o un entrenador personal. La certificación Primaria de Ejercicio en Grupo de FiTOUR® también es genial para ejercicios de grupo de experimentados instructores que quisieran repasar su técnica y ejecución o que quieran renovar su certificación como instructor de Fitness en grupo. The FiTOUR® Indoor Cycling Certification course will give you all the tools you need to be a group cycling instructor extraordinaire. The curriculum covers indoor cycling equipment, biomechanics of proper pedaling, warm ups, cool downs and drills for indoor bicycle training. You will also learn injury prevention strategies and how to teach a safe and effective indoor group cycling class. FiTOUR® is offering courses which are approved by the Aerobics and Fitness Association of America (AFAA) for Continuing Education Units (CEUs). 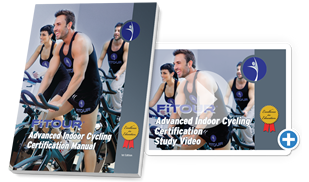 The FiTOUR® Indoor Cycling Instructor Primary Home Study Course is approved for 8 AFAA CEUs. This is a NOT a Certification, this is a cec course to obtain cecs used to renew an AFAA Certification. FiTOUR® is offering courses which are approved by the Aerobics and Fitness Association of America (AFAA) for Continuing Education Units (CEUs). 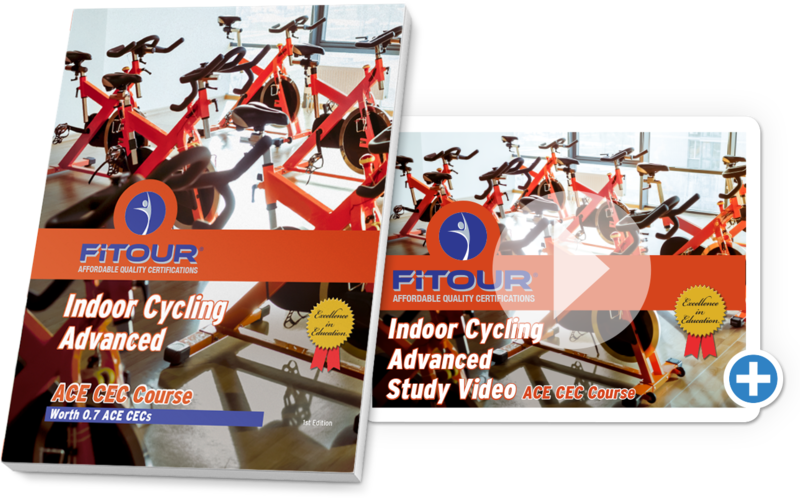 The FiTOUR® Indoor Cycling Instructor Advanced Home Study Course is approved for 8 AFAA CECs. FiTOUR® is offering online courses which are approved by the Aerobic and Fitness Association of America (AFAA) for Continuing Education Credits (CECs). The FiTOUR® Yoga Primary Home Study Course is approved for 8 AFAA CECs. FiTOUR® is offering online courses which are approved by the Aerobic and Fitness Association of America (AFAA) for Continuing Education Credits (CECs). The FiTOUR® Yoga Advanced Home Study Course is approved for 8 AFAA CECs. FiTOUR® is offering online courses which are approved by the Aerobic and Fitness Association of America (AFAA) for Continuing Education Credits (CECs). The FiTOUR® Barre Primary Home Study Course is approved for 8 AFAA CECs. FiTOUR® is offering online courses which are approved by the Aerobic and Fitness Association of America (AFAA) for Continuing Education Units (CEUs). The FiTOUR® Primary Myofascial Release Using Foam Roller Home Study Course is approved for 8 AFAA CEUs. FiTOUR® is offering courses which are approved by the Aerobics and Fitness Association of America (AFAA) for Continuing Education Units (CEUs). 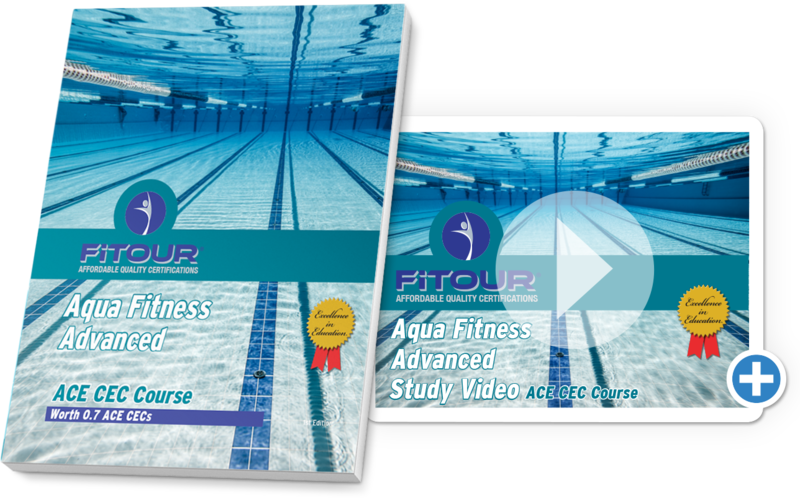 The FiTOUR® Aqua Instructor Primary Home Study Course is approved for 8 AFAA CEUs. FiTOUR® is offering online courses which are approved by the Aerobic and Fitness Association of America (AFAA) for Continuing Education Units (CEUs). The FiTOUR® Advanced Myofascial Release Using Foam Roller Home Study Course is approved for 8 AFAA CEUs. FiTOUR® is offering courses which are approved by the Aerobics and Fitness Association of America (AFAA) for Continuing Education Credits (CECs). 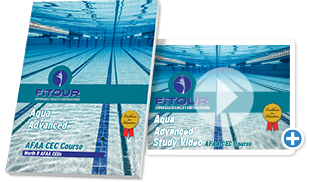 The FiTOUR® Aqua Instructor Advanced Home Study Course is approved for 8 AFAA CECs. FiTOUR® is offering online courses which are approved by the Aerobic and Fitness Association of America (AFAA) for Continuing Education Credits (CECs). The FiTOUR® Barre Advanced Home Study Course is approved for 8 AFAA CECs. FiTOUR® is offering online courses which are approved by the Aerobic and Fitness Association of America (AFAA) for Continuing Education Credits (CECs). 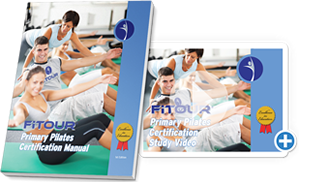 The FiTOUR® Pilates Instructor Primary Home Study Course is approved for 8 AFAA CECs. FiTOUR® is offering online courses which are approved by the Aerobic and Fitness Association of America (AFAA) for Continuing Education Credits (CECs). The FiTOUR® Pilates Advanced Home Study Course is approved for 8 AFAA CECs. FiTOUR® is offering courses which are approved by the Aerobics and Fitness Association of America (AFAA) for Continuing Education Credits (CECs). The FiTOUR® Core and Functional Training Home Study Course is approved for 8 AFAA CECs. FiTOUR® is offering online courses which are approved by the Aerobic and Fitness Association of America (AFAA) for Continuing Education Credits (CECs). The FiTOUR® Group Kickboxing Instructor Home Study Course is approved for 8 AFAA CECs. FiTOUR® is offering online courses which are approved by the Aerobic and Fitness Association of America (AFAA) for Continuing Education Credits (CECs). 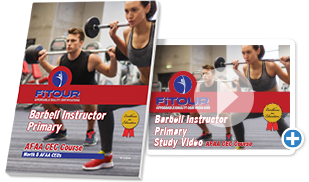 The FiTOUR® Group Barbell Instructor Home Study Course is approved for 8 AFAA CECs. FiTOUR® is offering courses which are approved by the Aerobics and Fitness Association of America (AFAA) for Continuing Education Credits (CECs). The FiTOUR® Boot Camp Training Home Study Course is approved for 8 AFAA CECs. FiTOUR® is offering courses which are approved by the Aerobics and Fitness Association of America (AFAA) for Continuing Education Credits (CECs). 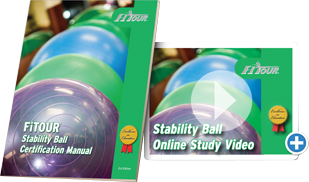 The FiTOUR® Stability Ball Fitness Home Study Course is approved for 8 AFAA CECs. FiTOUR® is offering courses which are approved by the Aerobics and Fitness Association of America (AFAA) for Continuing Education Credits (CECs). The FiTOUR® Step Instructor Home Study Course is approved for 8 AFAA CECs. FiTOUR® is offering courses which are approved by the American Council on Education (ACE) for Continuing Education Credits (CECs). 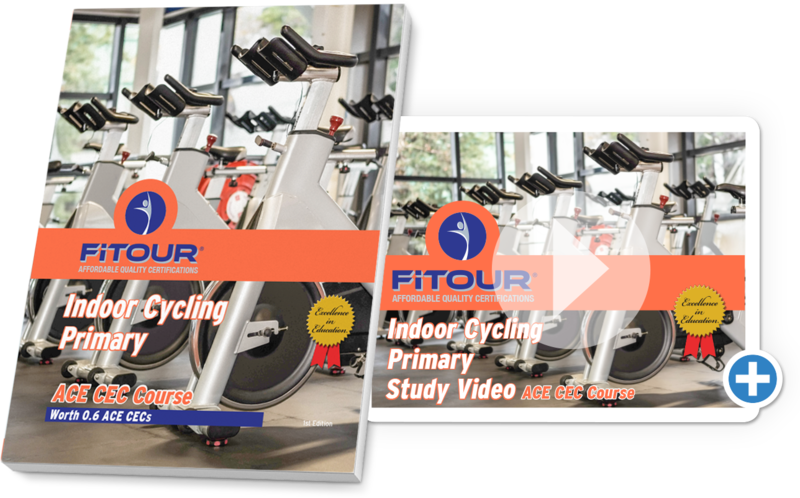 The FiTOUR® Indoor Cycling Instructor Primary Home Study Course is approved for 0.7 ACE CECs. This is a NOT a Certification, this is a cec course to obtain cecs used to renew an ACE Certification. FiTOUR® is offering courses which are approved by the American Council on Education (ACE) for Continuing Education Credits (CECs). The FiTOUR® Indoor Cycling Instructor Advanced Home Study Course is approved for 0.7 ACE CECs. FiTOUR® is offering courses which are approved by the American Council on Education (ACE) for Continuing Education Credits (CECs). The FiTOUR® Aqua Instructor Primary Home Study Course is approved for 0.7 ACE CECs. FiTOUR® is offering courses which are approved by the American Council on Education (ACE) for Continuing Education Credits (CECs). 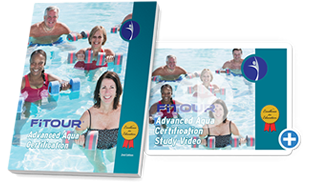 The FiTOUR® Aqua Instructor Advanced Home Study Course is approved for 0.7 ACE CECs. FiTOUR® is offering courses which are approved by the American Council on Education (ACE) for Continuing Education Credits (CECs). The FiTOUR® Barre Primary Home Study Course is approved for 0.8 ACE CECs. FiTOUR® is offering courses which are approved by the American Council on Education (ACE) for Continuing Education Credits (CECs). The FiTOUR® Barre Advanced Home Study Course is approved for 0.8 ACE CECs. FiTOUR® is offering online courses which are approved by the American Council on Education (ACE) for Continuing Education Credits (CECs). The FiTOUR® Primary Myofascial Release Using Foam Roller Home Study Course is approved for 0.8 ACE CEUs. FiTOUR® is offering courses which are approved by the National Academy of Sports Medicine (NASM) for Continuing Education Credits (CECs). 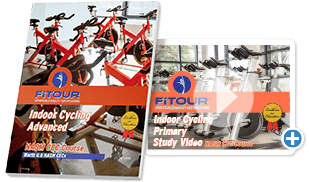 The FiTOUR® Indoor Cycling Instructor Primary Home Study Course is approved for .8 NASM CECs. FiTOUR® is offering courses which are approved by the National Academy of Sports Medicine (NASM) for Continuing Education Credits (CECs). The FiTOUR® Indoor Cycling Instructor Advanced Home Study Course is approved for .8 NASM CECs. FiTOUR® is offering online courses which are approved by the National Academy of Sports Medicine (NASM) for Continuing Education Credits (CECs). 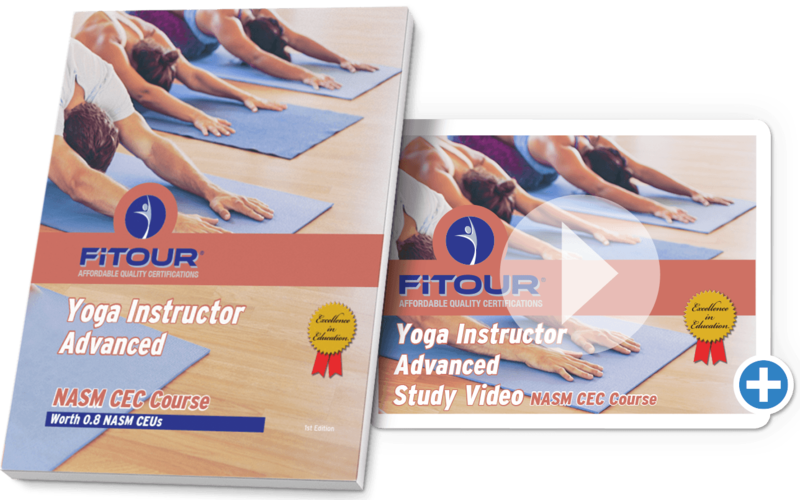 The FiTOUR® Yoga Primary Home Study Course is approved for .8 NASM CECs. FiTOUR® is offering courses which are approved by the National Academy of Sports Medicine (NASM) for Continuing Education Credits (CECs). 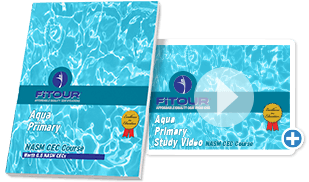 The FiTOUR® Aqua Instructor Primary Home Study Course is approved for .8 NASM CECs. FiTOUR® is offering courses which are approved by the National Academy of Sports Medicine (NASM) for Continuing Education Credits (CECs). 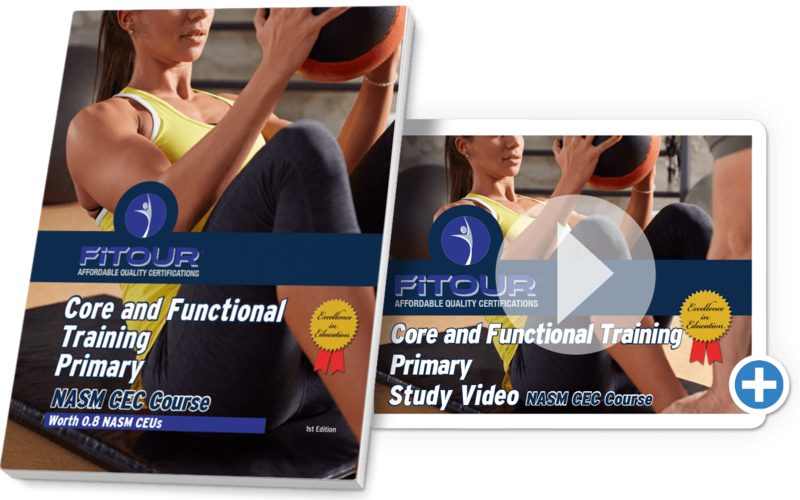 The FiTOUR® Barre Primary Home Study Course is approved for .8 NASM CECs. FiTOUR® is offering courses which are approved by the National Academy of Sports Medicine (NASM) for Continuing Education Credits (CECs). 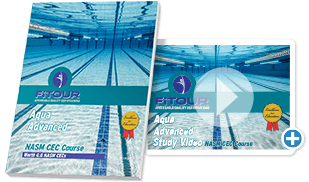 The FiTOUR® Aqua Instructor Advanced Home Study Course is approved for .8 NASM CECs. FiTOUR® is offering online courses which are approved by the National Academy of Sports Medicine (NASM) for Continuing Education Credits (CECs). The FiTOUR® Primary Myofascial Release Using Foam Roller Home Study Course is approved for .8 NASM CEUs. FiTOUR® is offering online courses which are approved by the National Academy of Sports Medicine (NASM) for Continuing Education Credits (CECs). The FiTOUR® Advanced Myofascial Release Using Foam Roller Home Study Course is approved for .8 NASM CEUs. FiTOUR® is offering courses which are approved by the National Academy of Sports Medicine (NASM) for Continuing Education Credits (CECs). The FiTOUR® Barre Advanced Home Study Course is approved for .8 NASM CECs. FiTOUR® is offering online courses which are approved by the National Academy of Sports Medicine (NASM) for Continuing Education Credits (CECs). 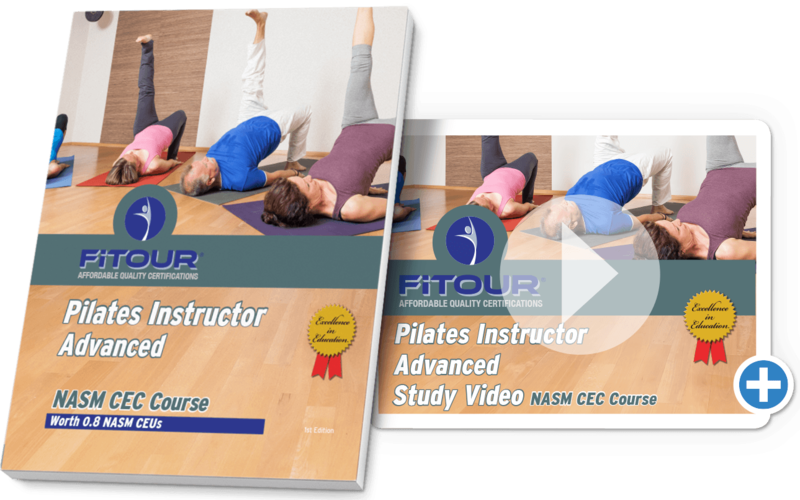 The FiTOUR® Pilates Instructor Primary Home Study Course is approved for .8 NASM CECs. FiTOUR® is offering online courses which are approved by the National Academy of Sports Medicine (NASM) for Continuing Education Credits (CECs). The FiTOUR® Pilates Advanced Home Study Course is approved for .8 NASM CECs. FiTOUR® is offering online courses which are approved by the National Academy of Sports Medicine (NASM) for Continuing Education Credits (CECs). The FiTOUR® Group Kickboxing Instructor Home Study Course is approved for .8 NASM CECs. FiTOUR® is offering online courses which are approved by the National Academy of Sports Medicine (NASM) for Continuing Education Credits (CECs). 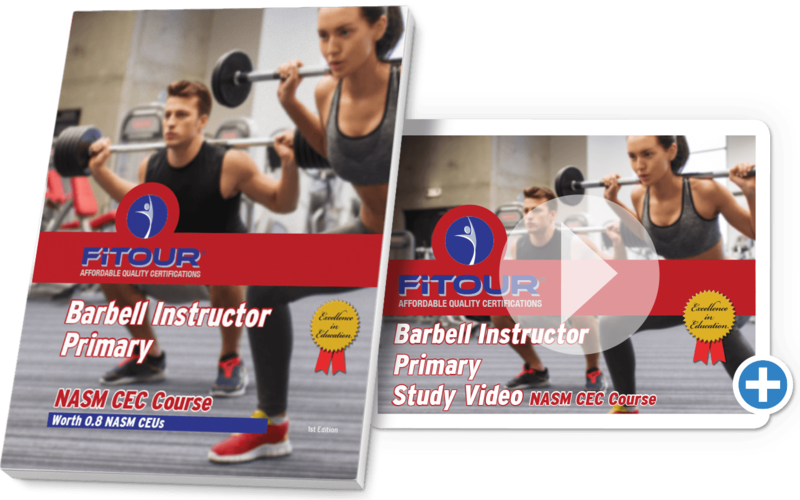 The FiTOUR® Group Barbell Instructor Home Study Course is approved for .8 NASM CECs. FiTOUR® is offering courses which are approved by the National Academy of Sports Medicine (NASM) for Continuing Education Credits (CECs). 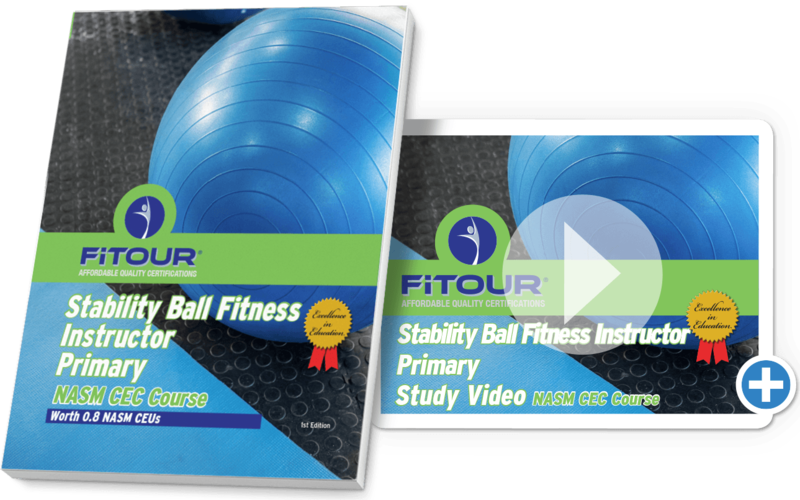 The FiTOUR® Stability Ball Fitness Home Study Course is approved for .8 NASM CECs. FiTOUR® is offering courses which are approved by the National Academy of Sports Medicine (NASM) for Continuing Education Credits (CECs). 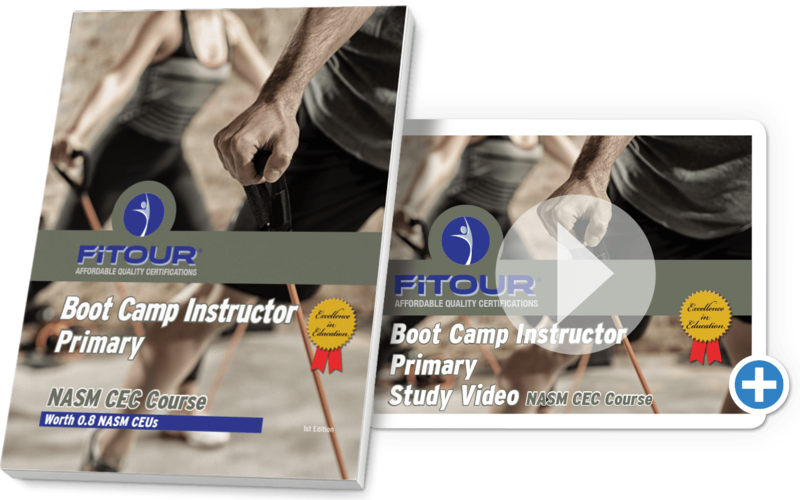 The FiTOUR® Step Instructor Home Study Course is approved for .8 NASM CECs. FREE Myofascial Foam Roller Certification! Register now for your FREE FiTOUR® Myofascial Release Foam Roller Certification!